Adding Game Results Made Available! All hail the winners! With our newest final scoring feature you will now be able to determine the winners at the end of each game and congratulate them with a proper celebration. 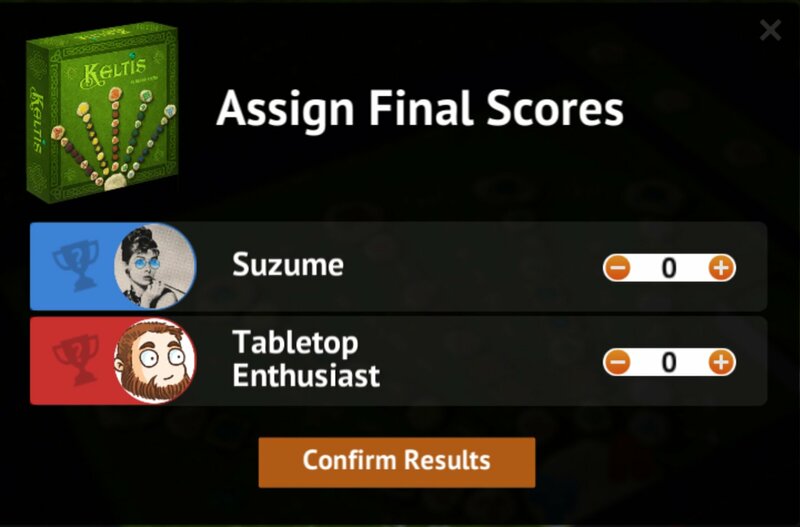 After you finish playing, the host of the room must select Finish from the game menu (click Tabletopia logo in the top left corner of the game room > Finish). The host then will be able to determine the game outcome: specify the winners, assign final scores, or choose victory or defeat depending on the kind of game you were playing. All other players will see the final results once the host confirms them. The results will also be displayed in the game lobby after you leave the table. In the game results window you will also be able to add your opponents to friends right away for future games together. Just click the star next to the player’s name. In future releases we plan on adding these results to your personal statistics and making sharing the results on social networks available. Stay tuned! Happy gaming and see you at the table!